These two lists of 100 words came from the Dolch List. They are the 100 most commonly used words. 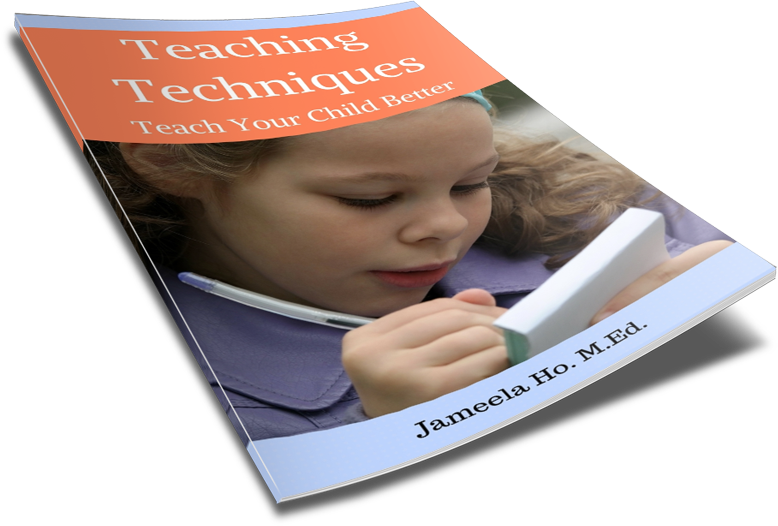 If your children learn then all by memorising them then they would be able to read 50% of all texts. 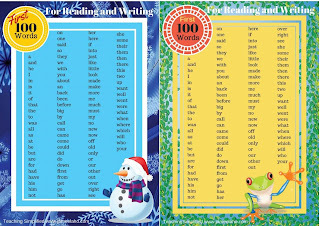 Use them wisely though as you don't want your children to rely only on memory to read. If your children already have an understanding of phonics and can decode words by blending the sounds then they are ready to memorise these common words. 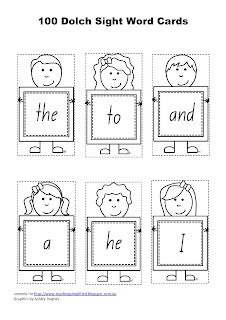 If not yet then go back to teaching phonics before you teach these. Knowing these words will make reading much more fluent. I have made two charts, one for winter and one for summer. 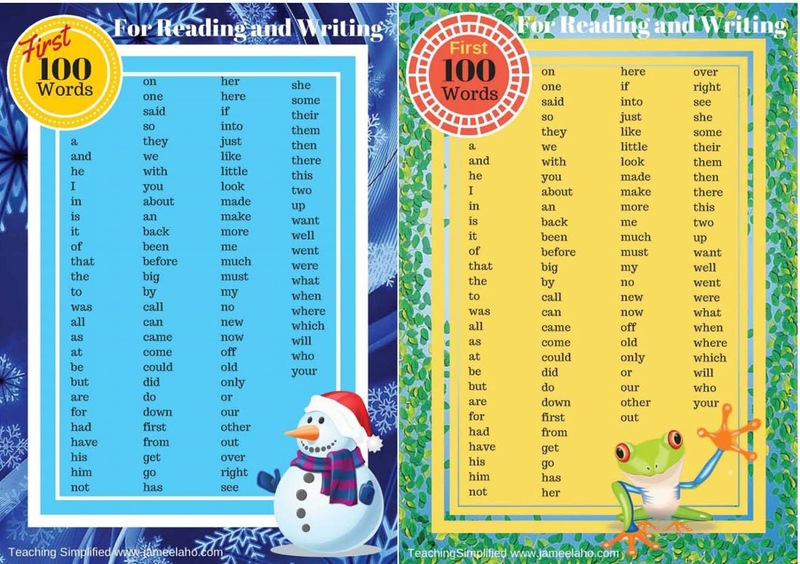 The lists are the same so you can choose the one to match the season you're teaching in. Print them out and laminate them if possible. You can give one to each child or hang them on the wall. I hope you find them useful and I love to read any feedback. 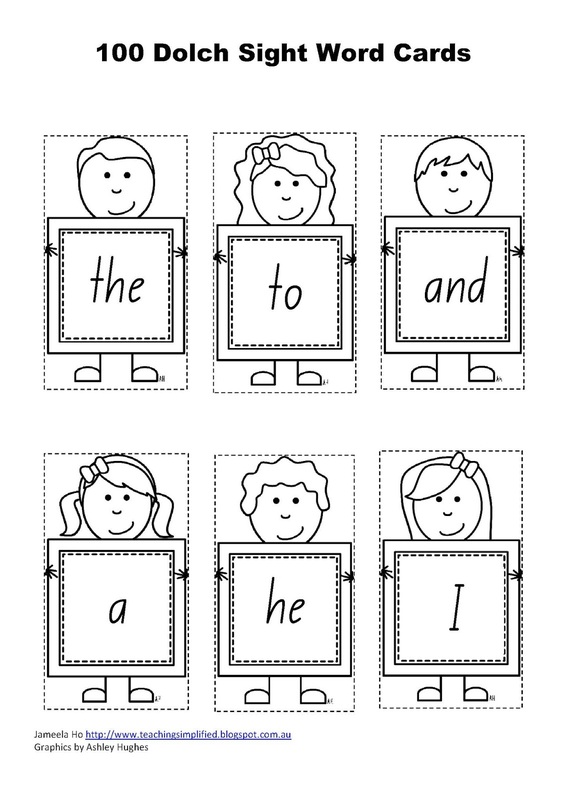 To get the free complementary sight word cards, click here.